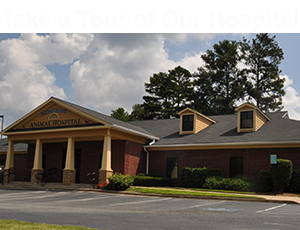 When you cannot take your pet with you, Montrose Animal Hospital and Pet Hotel provides a supervised, climate-controlled, clean, and safe place for your dog or cat to stay. Your pet will love staying at our Pet Hotel—he or she will have their own FUN vacation! Your pet will be well cared for by our professional loving staff! Our staff is trained to carefully monitor your pet's health, safety and well-being while boarding with us. For your pet's protection, all animals that board must be current on vaccinations. For dogs, we require Rabies, Distemper, Bordetella and Canine Influenza. For cats, we require Rabies, Distemper and Leukemia. Cats and dogs must be free of intestinal parasites, fleas and ticks. If your pet needs medication or treatment during their boarding stay, please inquire with the front office staff regarding any additional fees. Saturday between 8am - 3pm. At this time we do not offer drop offs on Sunday. For your convenience we offer arranged pickups on Sundays between 1pm – 3pm. Upon pick up, we ask that you do so by noon if your pet is not receiving grooming or bathing services. If you pick up after noon additional fees may apply. Please contact us to learn more about our boarding services, policies and accommodations or to schedule a tour! Our Pet Hotel fills up quickly during the holidays, so please call as soon as you can to arrange your pet’s stay with us.